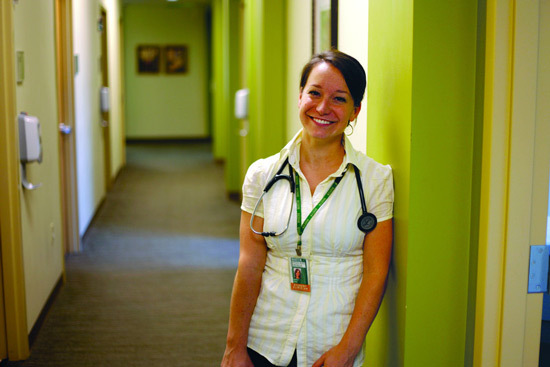 Home » Health » What Do Naturopathic Doctors Do anyways? I was at a friend’s house warming party the other weekend. It was great to meet many new people that were close to one of my friends. As with any social interaction with people you don’t know, common themes for chit chat revolve around personal life and work. So when someone asked me what exactly a Victoria Naturopath does, it was a little shocked. I thought many people knew. But as I went around talking to people, not many did know. That’s when I thought I should write a blog post about what a Naturopathic Doctor is and does. We essentially combine nature and science. Steeped in traditional healing methods, Naturopathic medicine focuses on holistic, proactive prevention and comprehensive diagnosis through treatment. By using tools that minimize the risk of harm, we help facilitate the body’s ability to restore and maintain its best health. It’s our role to identify and remove barriers to good health by helping to create an internal and external healing environment. Where do We Work and whats Our Training? Most of my fellow colleagues work in private practices, hospitals, clinics and community health centers. As for our training and education, we go through some tough training before we can become licensed healthcare practitioners. It makes sense, as everyone’s health is the most important aspect of life. It’s so valuable and we have to be trained to the highest level in dealing with people’s precious lives. We treat all medical and health conditions. Among the most common conditions we treat are obesity, allergies, chronic pain, digestive issues, hormonal imbalances, respiratory conditions, fertility problems, heart disease, menopause, adrenal fatigue, cancer, fibromyalgia and chronic fatigue syndrome. Quite a lot of conditions isn’t it? We do it all! We can even do some minor surgeries like removing a cyst or stitching up a wound. Now that you have an idea of what we do, what exactly can you expect when you take your first appointment with a naturopathic doctor Victoria? We will learn more about your health history, find out about your diet, stress levels, use of tobacco, alcohol or any drugs and discuss what brought you in. One thing is for sure, you must be an open persona as Naturopathic medicine is very natural. Many people are not ready to accept that there are other ways to heal rather than strictly taken drugs. We know it’s not for everyone, but for those that do adapt a positive and open mindset, we can help them get better and overcome their health conditions.